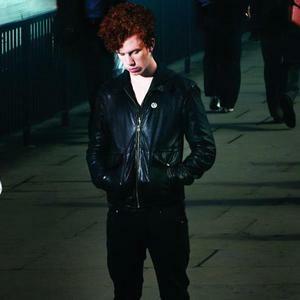 Erik Hassle, born August 26, 1988 in Katrineholm, Sweden, is a Swedish singer and composer. In 2008 he signed a Swedish record contract with Roxy Recordings, and in 2009 he signed an international record contract with Island Records and Universal Republic. Hassle's first single, "Hurtful", charted on the Swedish single list. He has been written up as a hot new act in The Guardian and other major newspapers, and the 19th of January 2010 he was awarded the prize for "Newcomer of the Year 2009" at the P3 Guld gala. Hassle's first single, "Hurtful", charted on the Swedish single list. He has been written up as a hot new act in The Guardian and other major newspapers, and the 19th of January 2010 he was awarded the prize for "Newcomer of the Year 2009" at the P3 Guld gala. He is touring together with Mika as a opening act. His international debut album Pieces has been released on the 22.2.10.